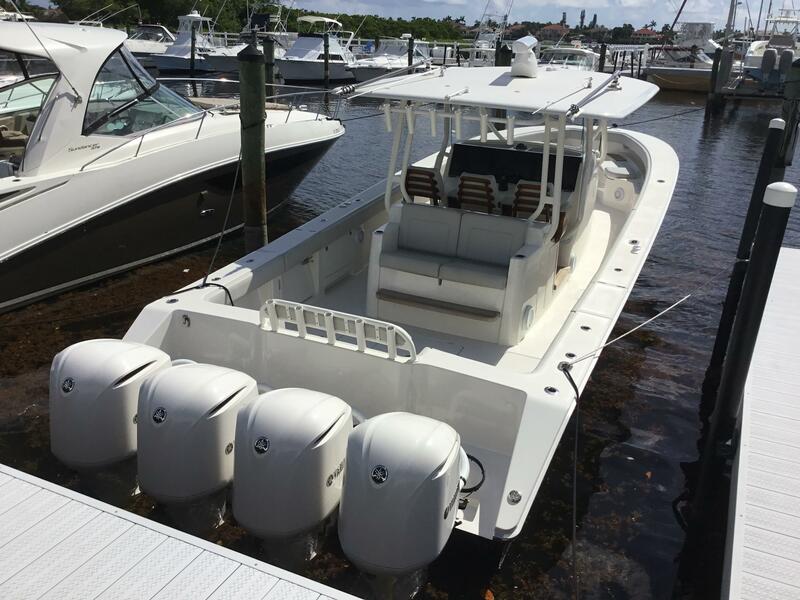 Jupiter Boats builds center console and express fishing boats designed to run at high speeds while providing a smooth ride. 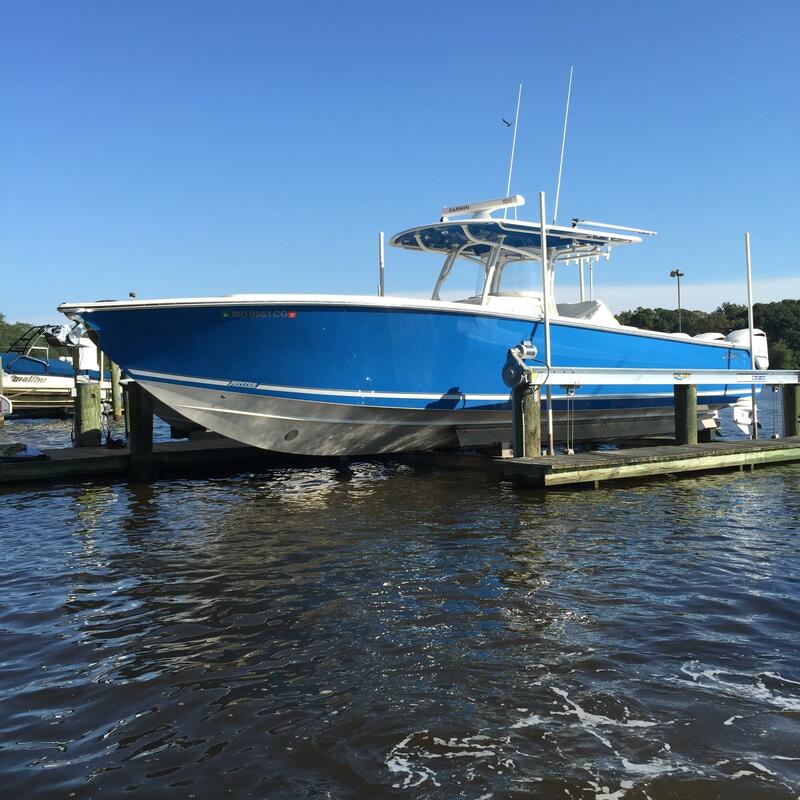 Each Jupiter boat is handcrafted to the owner’s specifications. 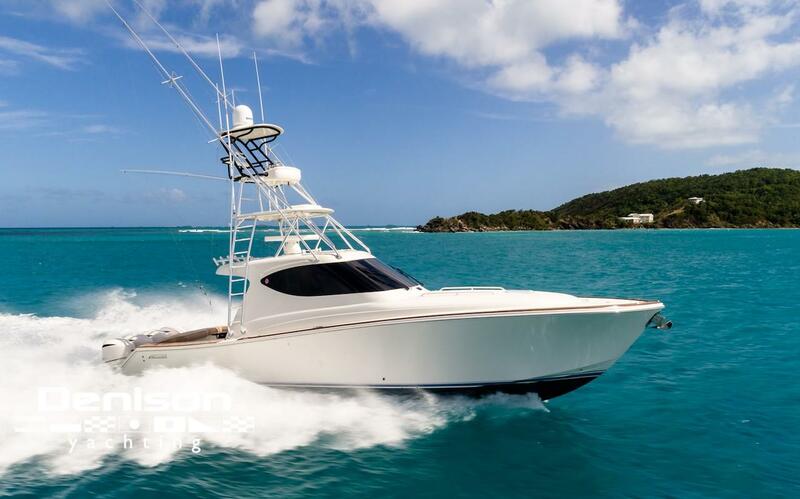 With its production facility located on the gulf coast of Florida, Jupiter manufactures some of the finest sportfishing boats with great looks, speed, and quality construction. 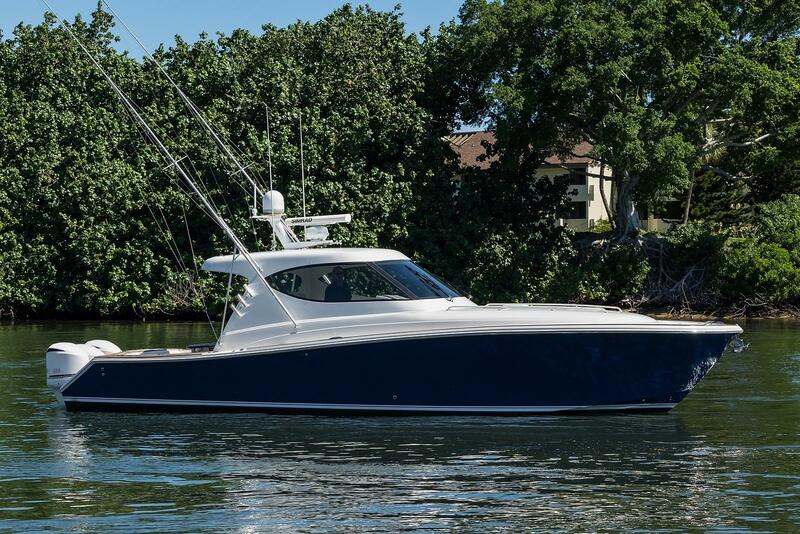 Worth Noting: Jupiter Yachts currently builds boats in the same factory that Blackfins were built. Jupiter 26 FS 2009 - Current 26' 5" 8' 8" 2' 7"
Jupiter 27 Open 1998 - Current 27' 4" 8' 6" 2' 2"
Jupiter 29 FS 2007 - Current 29' 6" 9' 4" 2' 9"
Jupiter 30 FS 2011 - Current 29' 6" 9' 4" 2' 9"
Jupiter 31 Open 1989 - Current 30' 8" 9' 6" 2' 7"
Jupiter 31 Center Console 1991 - Current 31' 0" 11' 6" 3' 0"
Jupiter 31 Cuddy 1993 - Current 33' 2" 9' 6" 2' 3"
Jupiter 32 FS 2011 - Current 33' 2" 9' 6" 2' 9"
Jupiter 32 Cuddy 2014 - Current 33' 2" 9' 6" 2' 9"
Jupiter 34 FS 2008 - Current 33' 9" 10' 5" 3' 0"
Jupiter 38 FS 2005 - Current 38' 2" 10' 7" 3' 6"
Jupiter 38 HFS 2014 - Current 38' 2" 10' 7" 3' 0"
Jupiter 38 Cuddy 2014 - Current 38' 2" 10' 7" 3' 0"
Jupiter 41 EX 2014 - Current 40' 3" 12' 8" 3' 6"
With over 35 years of boat building experience, the Jupiter Team is committed to building the finest, most technologically advanced offshore sportfishing boats available today. Every Jupiter yacht is individually built to the exacting specifications of the sportsman who demands the very best in offshore performance, styling and reliability. 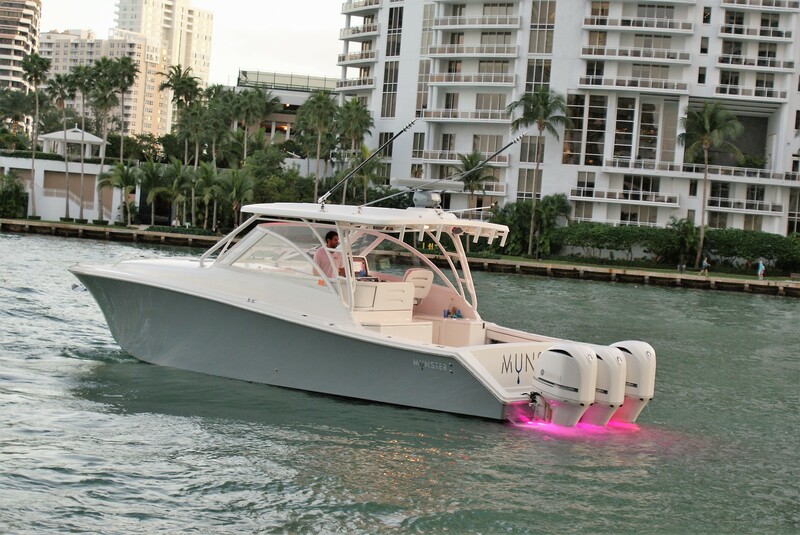 Jupiter boats are built under the direction of Carl Herndon, Jupiter's president. Herndon is best known as the founder and CEO of Blackfin Yacht Corporation and former president of Bertram Yacht where he earned the reputation for building some of the world's best and most respected sportfishing yachts. The Jupiter team includes many of the same experienced managers and skilled craftsmen who have worked with Carl over the years in a proven tradition of providing maximum offshore performance, superior quality, and meticulous craftsmanship in the boats they build. 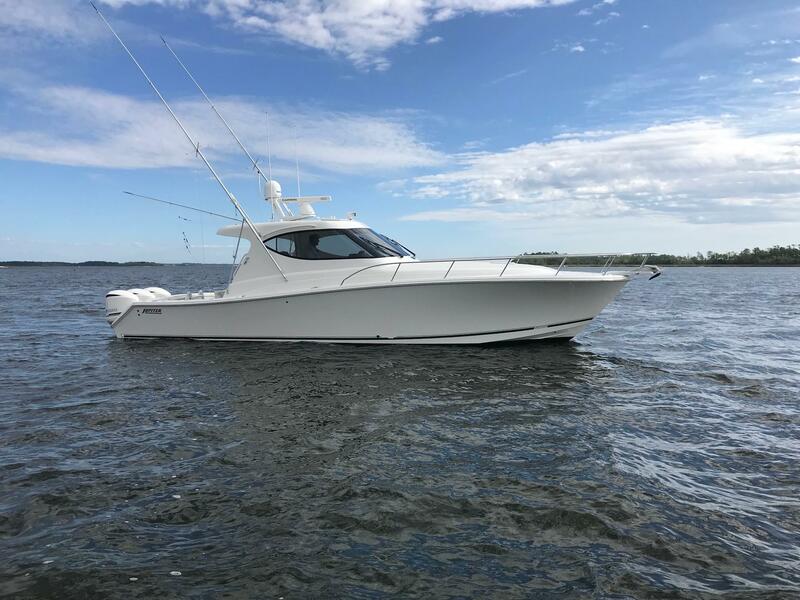 If you are looking for the finest center console this planet has to offer "one with great looks, fantastic seaworthiness, speed, quality construction, and a resale value second to none" take a ride on a Jupiter Boat.